Do you know what Pinterest is? It is another one of those social media applications that you should think about using for business…. yes it is….here are some of the stats to consider when looking at the Pinterest medium….and whether it would be right for your business. 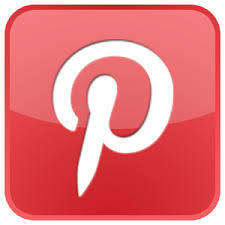 Retail companies have taken advantage of Pinterest for advertising and style trending, as have other industry sectors. It is a way for your clients to easily visualise your products or services and is fast becoming a new way to develop relationships. 4. Offer a call to action by describing the benefits of your products and services giving them samples of how it can be used….therefore encouraging people to potentially go to your website to look further or even make an enquiry or purchase . These are just a few ways of how Pinterest could be beneficial for your business….will you be the only business without a presence? Previous post: Is Evernote useful in your business or home? I have worked with Karen for only a short period of time, however already she has impressed me with her ability to ask great questions, follow-up and exceed my expectations. The difference Karen has made to my business is enormous.